Blue Sky BuildersSkywriters Garage BlogUncategorizedWhat Is a Car Lift? Most homes feature only one-car garages. This can be problematic for households with more than one vehicle. Sometimes even two-car garages are not enough if more than two vehicles are involved. Aside from rebuilding or expanding your garage, car lifts are a great option to add significantly more space to your garage. A lift can turn your one car garage into a two car garage, and can potentially upgrade a two-car garage into a four-car garage, depending on the space available. The specialists at Blue Sky Builders can inspect your available space and advise you on the number of lifts you can fit within your garage. We all know that quality vehicles are expensive. When faced between parking your vehicle outside or installing a car lift, the choice is easy. A car lift will allow you the extra space to store your additional vehicle indoors, away from the elements and safe from potential damage. Parking your vehicle indoors will keep it looking nice, protect it from damage, and keep it safe from vandalism or theft. For those with expensive vehicles, the extra security a car lift can provide is well worth it. Additionally, cars stored primarily indoors when not in use have longer engine lifespans. Many homeowners have high-end vehicles, such as a sports car, which they use only during certain seasons. During the off season, many luxury vehicle owners choose to pay for off-site storage to keep their vehicle safe. With a car lift, you will have the freedom to keep your prized possession safe on your property year round. If you enjoy repairing and maintaining your vehicle yourself, a car lift will provide much better access to your vehicle. You can work on your vehicle on the ground, and simply elevate it when you need access to it’s underside. You will love being able to make repairs without needing to lay on your back and roll under your vehicle. Do be sure to ensure that the lift you are using is suitable to hold the weight of whichever vehicle you are working on. 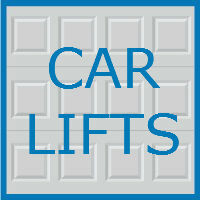 Car lifts are not limited to use with sedans only. Provided they have a high enough weight capacity, car lifts are able to hold vans, pickup trucks, and SUVs can even be used to store other vehicles like motorcycles, lawn machinery, and more. Making changes to your garage? 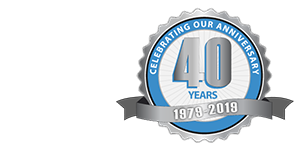 The team of garage specialists at Blue Sky Builders is always here to help. Visit Blue Sky Builders online to learn more about the wide range of services we offer, and call 630-852-8485 to speak to a member of our team whenever you are ready to get started.